India is expected to enhance the commercial use of drones and create a market demand for them. 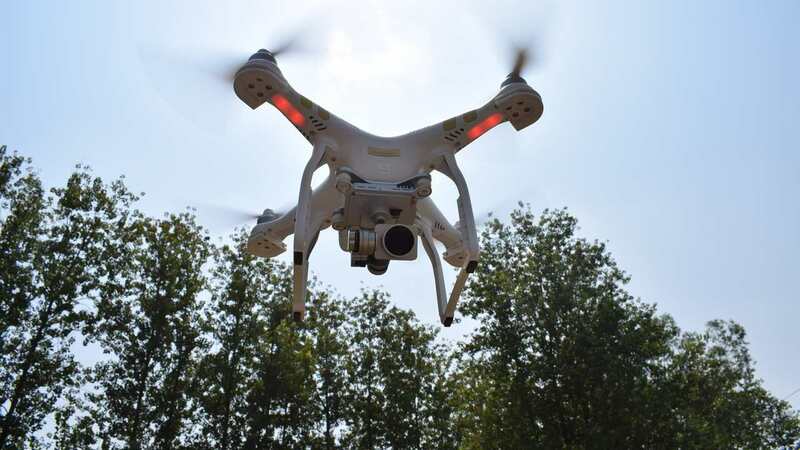 Known also as unmanned aerial vehicles, drones are mini pilotless aircraft which are operated by remote control and can be accessed through a simple smartphone app. A typical drone has two parts — the nose which contains sensors and navigational systems and the body which contains the rest of the technology required for the drone to operate. Popularity and adoption of drone technology are catching up in the world across regions and sectors and India is no exception to it. For example, a team of scientists at the Department of Computer Science and Engineering, Indian Institute of Technology (IIT) Roorkee has developed drone technologies for applications in precision agriculture and railway track monitoring. Precision agriculture mostly depends on satellite images. They provide information regarding the land type and vegetation including biomass and water stress in crops. Drones can provide the same information on a more real-time basis with greater accuracy and few errors. However, the use of drones suffered from a major hitch. There is a need to fly them every time a farmer needs the information. Researchers at IIT-Roorkee, working under Prof Dharmendra Singh, have devised a technique that would minimise the repetitive use of drones. Researchers flew a DJI Phantom quadcopter drone over selected agricultural fields at a height of 100 meters from the ground to capture images. Subsequently, satellite images from ‘Landsat 8’ were acquired from the same fields. The two sets of images were blended and then carefully analysed. It was found that for similar fields and vegetations there was a need to get drone images just once and that they could be blended with images from satellites whenever any information was required by a farmer. Such a strategy, say, scientists, could help government agencies, policy makers and insurance agencies to assess crop damage in case of natural calamities for payment of insurance claims. The other initiative involves the use of drones for monitoring rail tracks. Regular inspection of railway tracks is highly crucial for the safe operation of trains. Sometimes railway accidents happen as a result of infrequent and inefficient monitoring of railway tracks. In India, rail track inspection is conducted by human inspectors or special automated rail vehicles. The task is very complex and many times it is not possible to conduct them as frequently as is required. The researchers have sought to address the problem by developing a special drone technique. They used DJI Phantom 3 drone fitted with sensors and camera which records Ultra High Definition and HD videos and high-resolution images. The images were then processed to remove any unwanted noise or blurring. Further, the edge detection technique was used to separate railway tracks from the background. The railway track detection from the edges was done using technical computing software. The reliability and accuracy of the technique were tested using over 1000 image samples captured under different weather conditions including cloudy monsoon season. The technique is flexible and can be operated over rough terrains and high altitudes, which are challenges for regular inspection methods. From the studies done so far, drone data has been found to be more accurate, efficient and cost-effective for detecting errors, faults and anomalies in railway tracks. In addition, inspection by drones does not affect the normal running of trains. Researchers are trying to build a drone ecosystem in the country, where latest drone technologies could be developed for applications in several sectors. India announced a new policy to encourage commercial and civil use of drone operations. It is expected to enhance the commercial use of drones and create a market demand for them. This could subsequently help the country become a major player in drone research and manufacturing. Some of the areas where drone applications are promising include preparation of 3D maps, survey of lands and geographic mapping of inaccessible locations, aerial photography, express shipping and delivery, gathering of information for disaster management, and search and rescue missions. Cinematographers have started using them to create stunning aerial shots for movies, while meteorologists are using them to get a sense of the weather by exploring the skies. The market for drones is expanding and it is expected that drone research would open up new vistas of hope and possibility.